EAT is a global, non-profit startup dedicated to transforming our global food system through sound science, impatient disruption and novel partnerships. According to the website, "the EAT-Lancet Commission on Food, Planet, Health brings together more than 30 world-leading scientists from across the globe to reach a scientific consensus that defines a healthy and sustainable diet". But the campaign, that will be launched in Oslo on January 17th, sounds like a powerful push to shift global diets by discouraging animal products. It is fuelled by large budgets and will be mediatised for a long time to come, scheduling more than 30 events around the world. But a closer look into its background reveals some perturbing elements. The danger is that the overstatement of certain concerns will result in an anti-livestock narrative, create a false impression of scientific consensus, and do more harm than good in a world in need of nutrient-rich meals and sustainable food systems. Will 2019 be remembered as the year of the EAT-Lancet intervention, arguing for a planetary shift to a so-called “plant-based” diet? Isn’t it remarkable how meat, symbolizing health and vitality since millennia, is now often depicted as detrimental to our bodies, the animals, and the planet? Why exactly is the minoritarian discourse of vegetarianism and veganism currently all over the media? This widespread representation of meat as intrinsically harmful is worrying, to the point that some academics, health professionals, and expert committees are now expressing concern that it will add to malnutrition in wealthy countries, and sometimes even act as a cover or trigger for disordered eating. As a rising societal trend, “plant-based” lifestyles have of course a complex raison d’être and display heterogeneity among their mostly well-intentioned adherents. Nonetheless, the main discourses look remarkably script-based and some of the soundbites are coming from well-respected actors. Take Christiana Figueres, former Executive Secretary of the United Nations’ Framework Convention on Climate Change (UNFCCC). She has compared meat eaters to smokers - who likewise were once role models but later became pariahs - and believes that they should be having their meal outside of the restaurant. Or Harvard's professor Walter Willett, who has claimed that one on three early deaths could be saved if we all gave up meat, and Oxford's vegan researcher Marco Springmann who has called for a meat tax to prevent over “220,000 deaths” and save billions in healthcare costs. Remarkable statements, all the more when coming from prestigious universities, as such calculations are based on weak and confounded epidemiological associations that do not allow for causal claims. Furthermore, they ignore the need for risk assessment and disregard inconvenient data, such as the lack of harmful effects on markers for cardiovascular risk and inflammation during intervention studies. 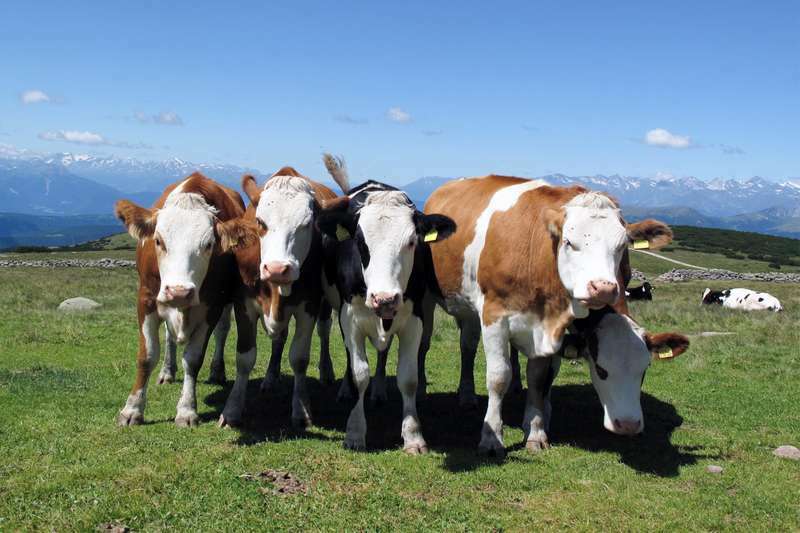 The nutritional robustness of animal products is persistently undervalued, especially for the young and elderly, and the same is true for the ecological advantages of well-managed livestock. Comparable “meat-is-bad” narratives are spread by authorities as the World Wide Fund for Nature (WWF) and the World Health Organisation. An editorial in The Lancet (“We need to talk about meat”) centred on the advice that meat eating should be reduced to… “very little” and concluded with a cryptical message: “The conversation has to start soon”. But hold on, is it a conversation or a lecture? To be able to answer this question, one needs to find out where the action is. All of the scientists and organisations mentioned in the previous paragraph have a common background: they belong to the EAT-Lancet Commission (with the exception of Figueres who will nonetheless be a speaker at their upcoming Stockholm 2019 Food Forum). What exactly is EAT, now incontournable in food policy debates? Its origin is surprising: it was founded in 2013 by Gunhild Stordalen, an animal right activist for the Norwegian Animal Welfare Alliance and wife of hotel tycoon Petter Stordalen. The couple is among Europe’s richest and - according to an article in Forbes - displays a particularly lavish lifestyle despite its image of green avengers. This is the point where “Big Ag” steps in, having discovered that the “plant-based” lifestyle market generates large profit margins, adding value through the ultra-processing of cheap materials (e.g., protein extracts, starches, and oils). The world’s leading food multinationals are related to the EAT network via FReSH, a bridge to the World Business Council for Sustainable Development (WBCSD). The WBCSD is a CEO-led organization of over 200 international companies. Unilever, for instance, offers nearly 700 vegan products in Europe and has now also acquired the Dutch Vegetarian Butcher. The latter’s marketing activities, by the way, have been designed by a key politician of the Dutch Party for the Animals and a Seventh-day Adventist. WBCSD’s origins go back to the Rio Earth Summit of 1992, where it was created by the industrialists Stephan Schmidheiny and Maurice Strong, the controversial architect of global climate policy. Strong was both a top diplomate for the United Nations and a businessman, for instance as president of Petro-Canada. As a strange hybrid product of the oil industry and environmentalism, he fostered some outspoken ideas (not to mention the bizarre esoteric beliefs of his wife and friends, with whom he supported the Lindisfarne group). Strong’s desire was to strengthen the grip of the UN on global affairs and to accommodate crisis-ridden capitalisms, with environmental alarm being ideal to set the machine in motion. Starting with the Stockholm Conference in 1972, he managed to establish sustainability as part of an international development agenda and became a key member of a long list of organisations, of which many now constitute… the EAT-Lancet constellation. Except for the WBCSD, Strong was instrumental in the development of the World Resources Institute (a close partner of EAT, see below) and the Stockholm Environment Institute and Beijer Institute (now both incorporated in EAT’s co-founder, the Stockholm Resilience Centre). In this shared ecosystem, we also encounter the World Economic Forum, the World Bank, the International Institute for Sustainable Development, the International Institute for Applied Systems Analysis, the WWF, etc. Strong stepped down in 2005 after he was mentioned in the Oil-for-Food scandal, but his legacy lives on. In addition to its alliance with WBCSD and FReSH, EAT is closely working together with another food campaigning group called the Barilla Centre for Food and Nutrition (BCFN). Both Gunhild Stordalen and Walter Willett have been keynote speakers at its International Forum on Food and Nutrition. BCFN defines itself as an “independent think tank”, even if the owners of the pasta giant Barilla are on its board of directors. The authors of a study promoting BCFN’s double food pyramid have declared that they acted “in the absence of any commercial or financial relationships that could be construed as a potential conflict of interest”. The model discourages the eating of meat and recommends… cereals. The more critical issue here is how something that resembles a marketing tool can end up as a scientific instrument for global policy development? And become part of a Memorandum of Understanding with the Italian Ministry for Education, to be presented as an “educative project” targeting primary schools? “Social engineering” via the Shift Wheel, or: how to direct the public toward fake meat? Taken together, EAT seems to have all it takes to implement its global agenda. In January 2018, a multi-stakeholder event was organised in Davos, to “improve synergies and accelerate progress” of food system change. In 2013, Stordalen had already contacted the Stockholm Resilience Centre with the demand to create a “Davos for food”. Co-organizers of the event included the Global Alliance for Improved Nutrition, the inevitable BCFN, and the International Food Policy Research Institute. The strategy was clear: market forces have to be shaped, consumers redirected. This is a task taken up by the Food and Land Use Coalition, an umbrella organisation where the broader strategic lines are divided between EAT, WBCSD, GAIN, IIASA, and a crucial EAT partner: the World Resources Institute. The WRI is funded by several governments, companies, and foundations (e.g., Ford, Rockefeller, Open Society, Bill & Melinda Gates, Shell), aiming to interfere in society at large. Particularly intriguing is its focus on something called the Shift Wheel in one of its working papers, as “a new framework based on proven private sector marketing tactics”. Some suggested options are to “disguise the change”, open up “new markets”, and make meat “socially unacceptable”. Potential interventions are familiar (in order of increasing compulsion): influencing nutritional labelling and dietary guidelines, 30-day diet challenges, taxing meat, and… removing meat from restaurant menus. At first, the EAT-Lancet agenda seems to be a noble, academic endeavour. On second sight, however, it shapeshifts into a more ambiguous mix of honest scientists and researchers with an agenda, and of philanthropic ideologists and various vested interests. Moreover, the fact that the entire cluster is reassembling the remnants that were once developed by a Machiavellian oil businessman do not inspire confidence. Be that as it may, the pervasive influence of various industry platforms and Foundations, that have been funding this constellation over the years, have been criticised for directing policies toward quick-win methods. As such, they are pushing the system toward “market-based and techno-fix solutions to complex global problems”. Bill Gates-backed biotechnology efforts to produce fake meat and lab meat are telling examples. The initial effect of the EAT-Lancet campaign seems to be not so much to promote animal welfare as to open up for “Big Ag” lucrative new markets and feed the hunger of governments for new tax bases. What start as academic and scientific debates become political arguments that are dangerously simplistic and may have several detrimental consequences for both health and the environment. Of course, climate change is real and does require our attention. And, yes, livestock should be optimized but also be used as part of the solution to make our environments and food systems more sustainable and our populations healthier. But instead of undermining the foundations of our diets and the livelihoods of many, we should be tackling rather than ignoring the root causes, in particular hyperconsumerism. What we should avoid is losing ourselves in slogans, nutritional scientism, and distorted worldviews.